The importance of research into the role of the immune system in the development and therapy of oncological diseases was emphasized by the Royal Swedish Academy, which recently named James Allison and Tasuku Honjo recipients of the 2018 Nobel Prize in Physiology or Medicine for launching an effective new way to attack cancer by treating the immune system rather than the tumor. In recent decades, it has been proven that the effectiveness of existing anti-cancer therapy strategies (for example, chemotherapy and/or radiation therapy) increases if the applied therapy leads to cell death through the pathway of immunogenic cell death (ICD), which is associated with the activation of the body's anti-tumor immune response, resulting in the most complete elimination of the tumor. Immunity plays an immense role in the body's fight against cancer. Every day, the cells of the immune system check all the cells of our body for "normalcy" and kill the degenerated cells. Sometimes cells hide from the immune system and escape the immunological control, and then a tumor develops. Today, there are many different ways to deal with tumors, but often they prove incurable. However, recent research shows that if the immune system eventually begins to see a tumor, the body can win the fight with it. This is the reason why immunogenic cell death has become an object of close study for researchers at Lobachevsky University in Nizhny Novgorod (Russia). The immunogenic cell death is characterized by the release of damage-associated molecular patterns (DAMPs) and/or cytokines/chemokines by the dying cells, thus launching a strong anti-tumor immune response. Cells that die in the process of immunogenic cell death act as vaccines by activating the immune system, which in turn generates a specific anti-tumor T-cell immune response. Therefore, at present, there is a significant amount of research in experimental cancer therapy aimed at increasing the immunogenicity of dying cancer cells through the use of biomaterials for targeted delivery of anti-tumor agents. A team of researchers from Lobachevsky University (UNN) under Ghent University Professor Dmitry Krysko, Leading Researcher at the Department of General and Medical Genetics of the UNN Institute of Biology and Biomedicine, has published a review article "An emerging role for nanomaterials in increasing immunogenicity of cancer cell death") in the journal BBA - Reviews on Cancer. The article presents the current ideas about the possibility of using nanomaterials in the treatment of cancer, including their ability to induce an immunogenic form of cancer cell death (the so-called ICD). According to Maria Vedunova, Director of the UNN Institute of Biology and Biomedicine, the article highlights the basic principles of the concept of immunogenic cell death, its molecular basis, and discusses the potential use of DAMPs as biomarkers of anti-cancer therapy effectiveness. "The paper also shows the diversity of types and structures of biomaterials used in the development of new therapeutic strategies, and discusses their role in increasing the effectiveness of chemotherapy. In particular, the results of experimental work on animals are presented, proving that the immunogenicity of chemotherapeutic agents can be increased by using biomaterials (nanoparticles of various types, liposomes, etc.) for their delivery. In turn, it leads to a decrease in the risk of metastases and an increase in the long-term survival rate. Besides, the use of biomaterials allows for the delivery at the same time of both a chemotherapeutic agent and adjuvants (for example, the agonists of the main components of the innate immune system -- toll-like receptors (TLR) and indoleamine 2,3-dioxygenase (IDO) inhibitors), which can enhance the role of immune responses in relation to cell death occurring through the immunogenic pathway," Maria Vedunova notes. Another advantage of using biomaterials, continues Tatiana Mishchenko, Senior Researcher at the UNN Laboratory for developing neuroprotection methods, is to implement targeted delivery of a chemotherapeutic agent to tumor cells, thereby significantly increasing the content of the drug in the tumor and reducing its toxicity to normal body cells. "Encapsulation of drugs in nanoparticles also prevents the accumulation of drugs in vital organs (for example, in the heart and intestines) and allows for the use of higher doses, which is impossible when using a free drug that has pronounced side effects," explains Tatiana Mishchenko. The study is of great significance for the development of practical medicine. Within the framework of the research, all modern ideas have been collected about the immunogenic cell death phenomenon that is so important from the point of view of the fight against cancer. 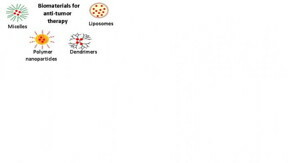 Future research and clinical trials will show whether the use of biomaterials is the optimal strategy for modulating the immunogenicity of dying cancer cells and will provide the information required to develop new cancer treatment strategies, in particular, the therapeutic concept of activating the immunogenic cell death in case of glioma (one of the "worst" brain tumors).